In today's technology-driven global economy, innovation is at the core of the survival-of-the-fittest organization. 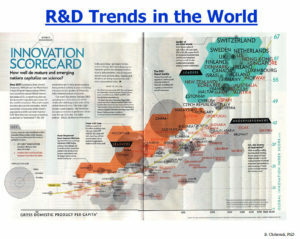 The innovation process begins with the identification of market needs or technology opportunity and then goes through stages, such as adopting or adapting existing technology that satisfies the identified need or opportunity, inventing when needed, and finally transferring this technology by commercialization or other instrumental means. 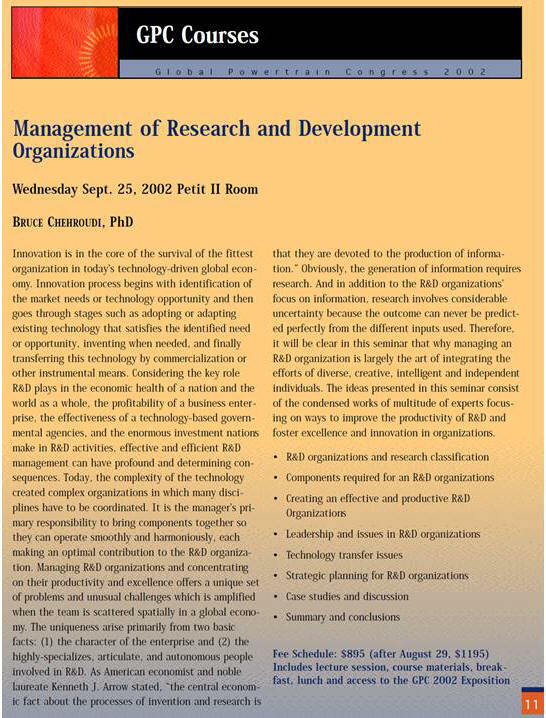 Effective and efficient R&D management can have profound and determining consequences, considering the key role it plays in the economic health of a nation and the world as a whole, the profitability of a business enterprise, the effectiveness of a technology-based governmental agency, and the enormous investment nations make in R&D activities. Today, the complexity of the technology creates complex organizations in which many disciplines have to be coordinated. 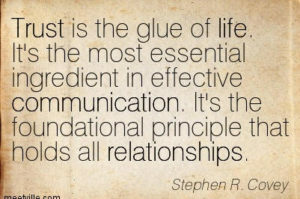 It is the manager's primary responsibility to bring components together so they can operate smoothly and harmoniously, each making an optimal contribution to the R&D organization. and, in addition to the R&D organizations' focus on information, research involves considerable uncertainty because the outcome can never be predicted perfectly from the different inputs used. 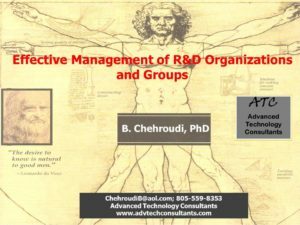 It will, therefore, become clear in this course that managing an R&D organization is largely the art of integrating the efforts of diverse, creative, intelligent, and independent individuals. The ideas presented in this course consist of the condensed works of a multitude of experts focusing on ways to improve the productivity of R&D and foster excellence and innovation in organizations. The course is intended for all levels of managers, supervisors, and team/group leaders who wish to improve their leadership, management, motivational, and communication skills for creating optimum individual and team performance in R&D organizations. It is particularly useful to scientists, engineers, project managers, and other technical personnel who intend to make a transition to management positions in an R&D environment or who want to improve their own leadership and/or followership skills. It also is beneficial for faculty members, group leaders, department heads, research administrators, managers responsible for sponsoring research, and policy makers in science and technology. This seminar is also sponsored by the American Society of Mechanical Engineers (www.asme.org): Click on ASME. NOTE: Professionally-prepared "audio-video Powerpoint-type presentations" of these seminars are available for purchase by companies. Each slide is presented with a clear audio by the consultant, describing the subject, while a digital pointer guides the audience to where the attention is to be focused. Companies can put such audio-video presentations on their intranet to be used by their employees. It is a cost effective way of approaching professional training, which also contributes towards R&D, design, and intelligent new product development efforts. Presentations are updated every year at a fraction of the original cost. For a sample presentation click on the word "R&D" in the picture to get a feel of how information is transferred (High-speed internet access is recommended. Otherwise, download may take a few more minutes). The actual copy sold is of high resolution with high quality sound. For more details and pricing please contact ATC. 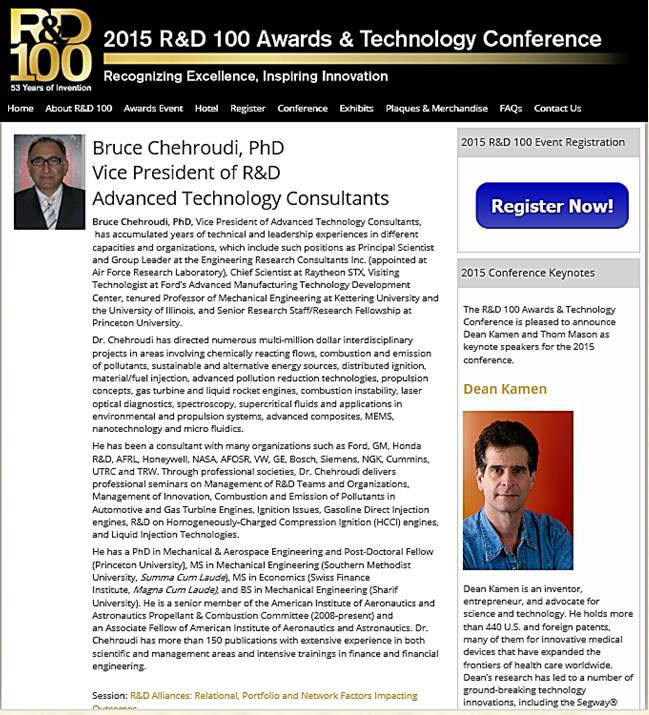 Individuals who are interested in this seminar should contact Advanced Technology Consultants (ATC) directly. Due to ATC's low overhead, direct-contact clients are offered a competitive and cost-effective package. Alternatively, you can contact American Society of Mechanical Engineers (ASME) website for schedule and registration. This course was initially prepared for the University of California at Los Angeles (UCLA) and subsequently offered by the ASME. Note: for best outcome and maximum absorption, it is recommended that the above topics are covered in 4 days to allow ample time for case studies and group discussions. I thought your course on Management of R&D organizations was excellent. I studied the materials for weeks afterwards and I still refer to and think of them. The content transformed my understanding and perspective of R&D, which has been my career field for the past 20 years. Likewise, I hope you have a happy, healthy and successful 2018!